A new City of Greater Geelong structure plan has recommended that Barwon Heads’ western boundary will be protected from development. 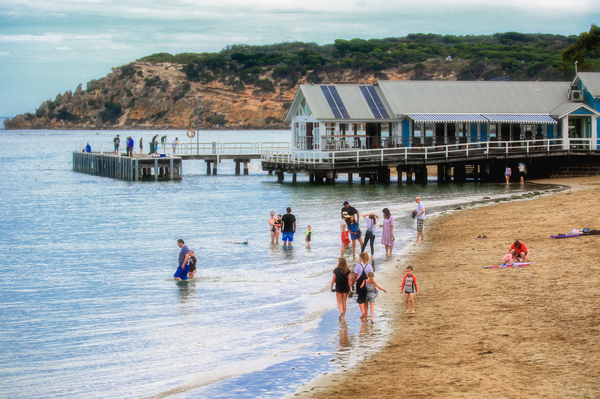 The updated Barwon Heads Structure Plan Development will now go to an independent planning panel and it will recommend keeping the town’s western boundary in its current position, with land to the west to remain as a rural zone. The update was in response to a push from locals to block the town’s western boundary from residential development. “This is a passionate issue for the people of Barwon Heads, in particular the location of the town’s western boundary. The overwhelming majority want to see it remain as it is, and the updated structure plan reflects that view,” acting mayor Peter Murrihy said. Of the 940 submissions, 928 supported this aspect of the plan. The updated plan was created with the help of extensive public consultation, along with experts in residential character and native vegetation. It has received a mostly favourable response, with a total of 940 public submissions, 788 in full support of the city’s proposals. Around 45 people from Barwon Heads attended last week’s council meeting to discuss the structure plan. Save Barwon Heads Alliance operated a bus to Geelong with 25 of its members on board. Save Barwon Heads Alliance president Stephen Wickham said the mood was positive following the decision. Mr Wickham said council’s structure plan was impressive. “It is without doubt the best structure plan I have seen anywhere,” he told the Voice. “If I was a land owner, I would have looked at that and given up on the spot. It was so well documented and detailed. I couldn’t have been more impressed with the new council. “The number of public submissions to this proposed plan has been almost unprecedented,” sustainable development portfolio chair Cr Jim Mason said. “It’s clear the people of Barwon Heads strongly value the coastal village character of their town, and that’s something we’re mindful of maintaining, while also acknowledging the strong development and growth pressures around the region.